Traditional building skills demonstrations are taking place in Falkirk’s historic town centre this week. 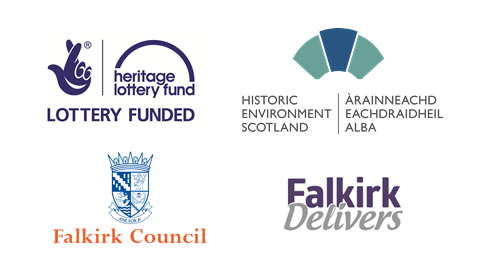 The event is being organised by Forth Valley Traditional Buildings Forum to raise awareness of the traditional building skills and materials involved in maintaining the historic buildings in Falkirk town centre and across Scotland. The free event will be in Falkirk Trinity Churchyard off Falkirk High Street on Thursday 22nd and Friday 23rd June. Everyone is welcome to drop in to meet the craftsmen and enjoy demonstrations in stonemasonry, joinery, roofing & painting and decorating between 10am – 2.30pm. 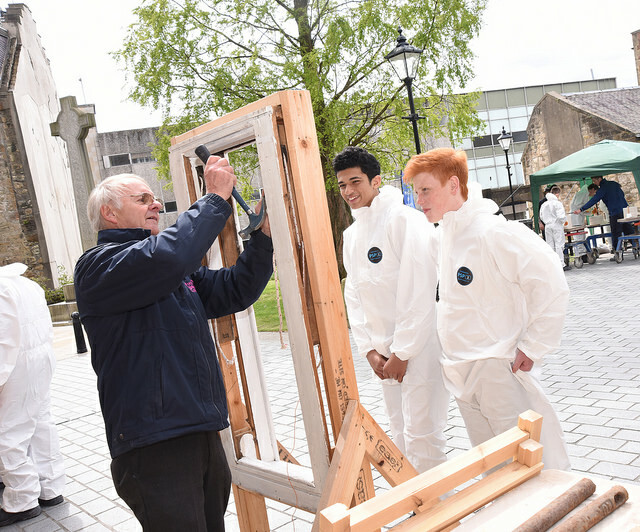 A key aspect of the event is to encourage young people to think about a career in traditional building skills, as well as raising awareness of the skills that are so important in maintaining our historic environment. Local secondary schools pupils will visit the event and gain some hands on experience of these traditional trades and perhaps identify potential tradespeople of the next generation. Advisers will be on hand to explain the opportunities that are available and how to access apprenticeships locally in these trades which are vitally important in maintaining our historic environment. Visitors will be able to meet the professionals and enjoy demonstrations in stonemasonry, joinery, slate roofing & painting and decorating. There will also be free advice on improving your own property using traditional methods and materials. The event is being supported by the wider Falkirk THI project that aims to protect and preserve the many historical features of Falkirk’s town centre. The THI Team will be on hand giving out free literature on Falkirk history and property maintenance. New Town Centre Tour Guides! Falkirk THI Training Programme 2016/17 – book now!